Jane of All Trades Chicago uses 100% biodegradable poop bags that are made right here in the U.S. and located in Chicago. Help the environment and support your local businesses! Jane of All Trades Chicago was started in 2009 by a girl who does it all in order to bring the services you need at an affordable price. 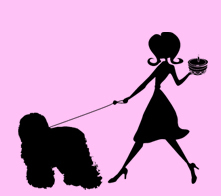 Specializing in pet care, we love coming by to walk your dog or take care of them while you're out of town. You can always count on us to be professional and reliable. We look forward to helping you out with your pet service soon! We would love to hear from you please contact us! We are now selling the best dog wash and deodorizing spray! Contact us for local orders or to have it delivered to your door by your dog walker. Or order directly online at aaj.mymonat.com. You can now schedule services and pay your account online! Running low on note sheets for your dog walker? You can print them at home!